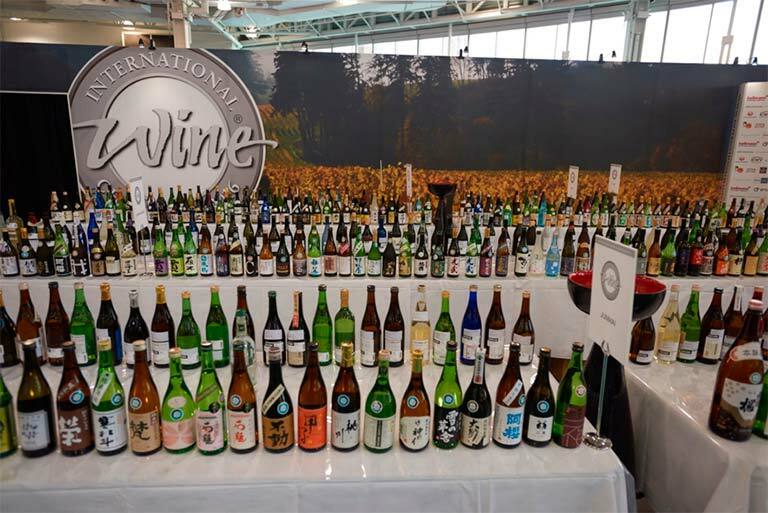 The International Wine Challenge in partnership with Sake Samurai received a record-breaking number of sake entries this year, and over 450 award winning sakes in all styles will be lined up at the Restaurant Show in London from the 1 to 3 October. This event showcases wines and sakes that are not currently available in the UK, which are looking for restaurants, importers and agents. The 1 October is International Sake Day, and we would like to take this opportunity to introduce quality sake to the UK audience and beyond. This year was the 10th annual International Tasting Event, jointly organised by the Council of Foreign Chambers of Commerce (CFCC). The event was held at Centenary Hall at Stamford Bridge, the home of Chelsea FC, on 25th September. Sixteen chambers of commerce took part and collectively filled the venue to capacity, with 450 guests attending in addition to more than 50 staff and suppliers. 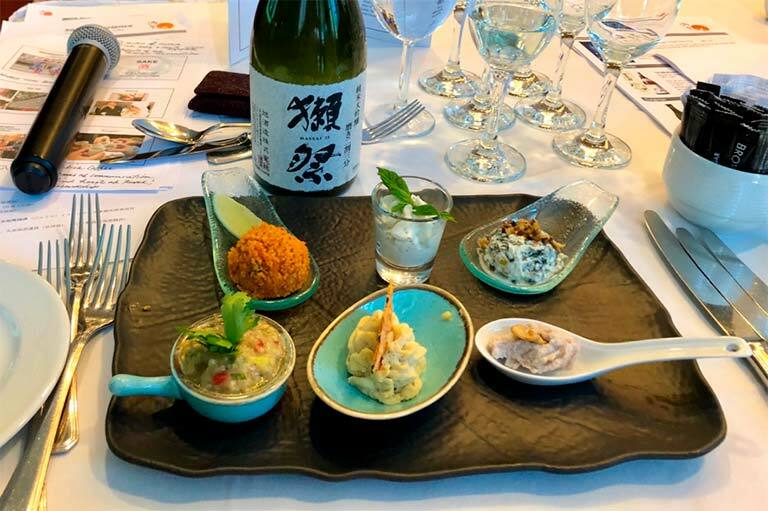 Last year, thanks to the Japan Racing Association (JRA) http://japanracing.jp/en, sake finally came to be served at one of the most prestigious British events, the Ascot Racecourse. And this year, once again, we were given another fantastic opportunity to meet Britain’s society at the King George VI and Queen Elisabeth Stake at Ascot. At the entrance to the main building, a Japan pavilion was set with the slogan of ‘Saddle Up for Japan’. 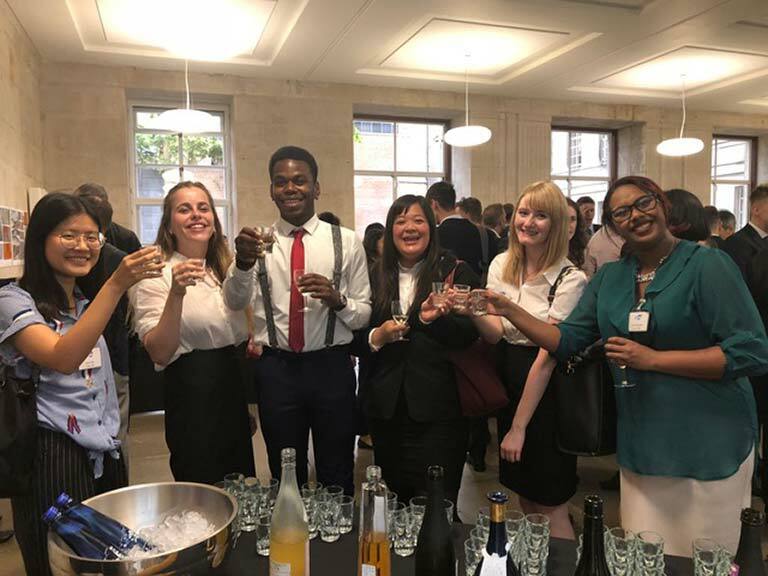 Sake Samurai UK has been supporting the Japan Exchange and Teaching (JET) programme for several years but this was the first time that we joined the kick-off party to meet young talented missionaries who are going to Japan as English teachers and researchers. I always feel so proud to support any occasions to bridge between UK and Japan, and in this case I was overwhelmed by the enthusiasm and inquiring spirit of the young people. Most of them had just graduated from university and were going to Japan to be cultural ambassadors between the two countries. Sake samurai in partnership with IWC is pleased to announce the final result of this year’s sake judging. 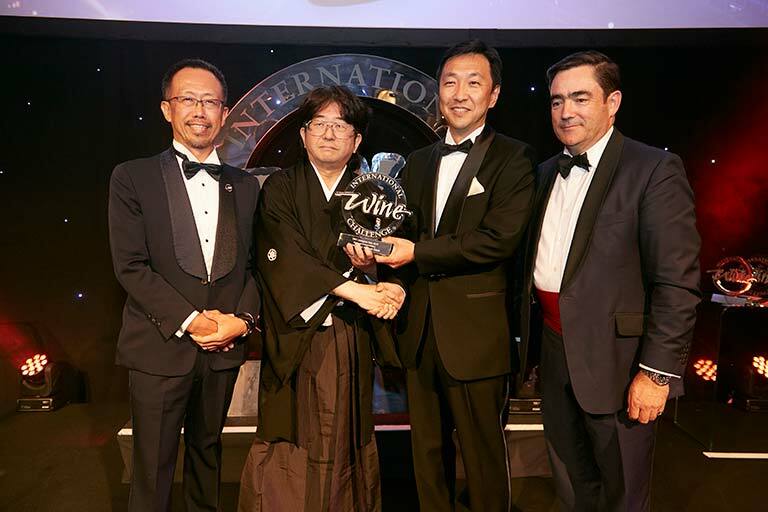 IWC announced the winner of its Champion Sake at the IWC 2018 Awards Dinner held on 10 July 2018 at the Grosvenor House Hotel in London. 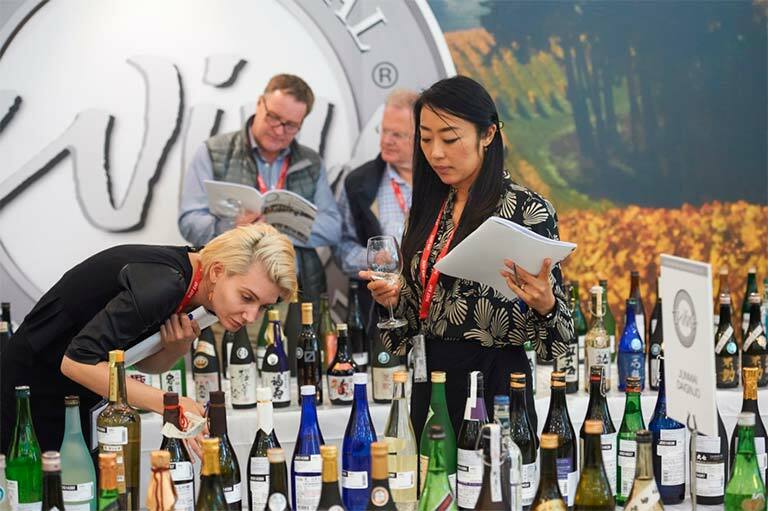 They saw a record 1,639 sake entries from 456 breweries from all over the world – from regions as diverse as USA to Switzerland, and they were judged in Yamagata, Japan in May. The IWC Sake Champion 2018 prize went to Okunomatsu Adatara Ginjo produced by Okunomatsu Sake brewery in Fukushima. This is the second time that sake from Fukushima grabbed the champion’s prize, previously awarded in 2015. This sake stood out for judges by demonstrating pretty, floral notes of honeysuckle, jasmine, peach, ripe pear and melon. 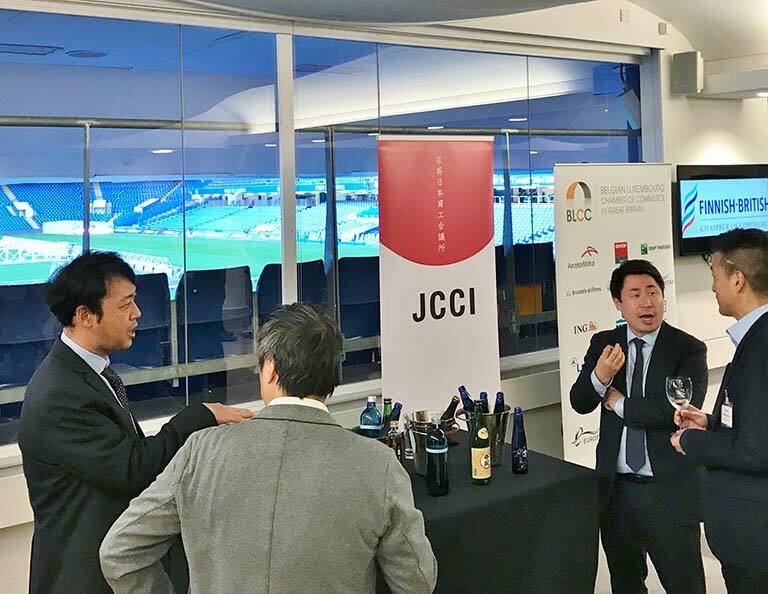 Prior to the IWC Awards Dinner, where the Champion sake and top awards are to be announced, the Embassy of Japan and Sake Samurai Association hosted the celebration tasting for the finalist sake makers. This ‘Crème de la crème’ annual tasting was long awaited by sake lovers and the trade, and a staggering number of over 250 guests applied for entry to the special night. The fourteen attending sake makers were all trophy winners for IWC’s nine sake categories. The event was also attended by the chairman and vice-chairman of Sake Samurai. Guests enjoyed sampling the most acclaimed craftsmanship of Japan’s oldest industry and tasted over 30 different brands throughout the evening. 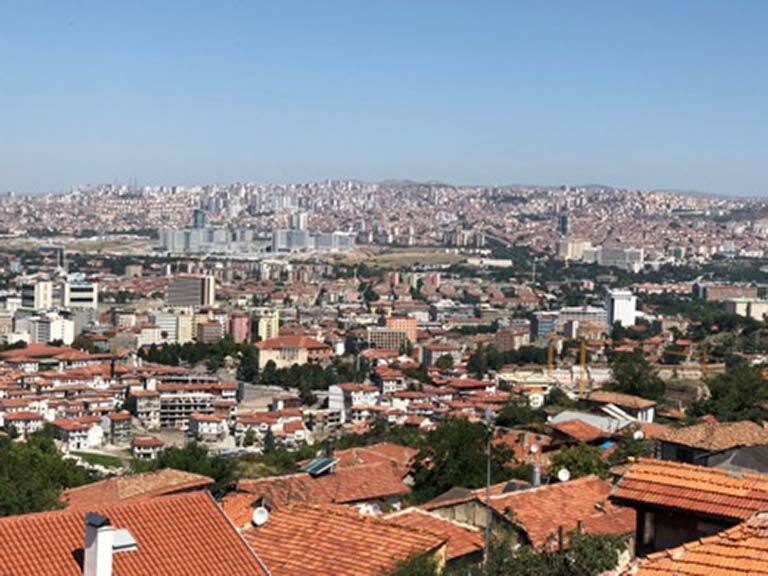 On the second day of our visit to Ankara, I was welcomed to a gorgeous chamber in the Hilton Hotel to give a talk about sake, prior to the exciting sake matching lunch with local Turkish cuisine. 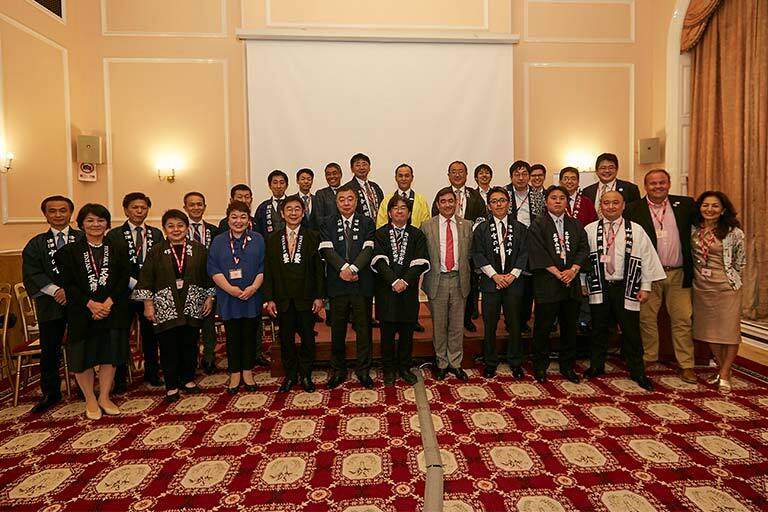 Hosted by the Ambassador Miyajima and the CEO of the Hilton Hotel, duly selected local dignitaries and influencers in the food & drink trade assembled to catch a very rare opportunity to learn about the unique national drink of Japan. My task was to provide the fundamental knowledge of sake and to demonstrate the concept of ‘sake beyond sushi’, i.e how well sake could go with the Turkish local food. The Japanese Ambassador Mr. Akio Miyajima in Turkey suggested an introduction to sake at the embassy’s official sake event, and I accepted his kind offer with a great enthusiasm. The trip to the country where ‘the West meets the East’ was eye-opening and gave me a great experience and courage to explore a new world for sake. A grand summer reception took place in the beautiful garden of the Japanese ambassador’s residence in Ankara, and over 400 guests were invited from the field of the Turkish-Japan relations. 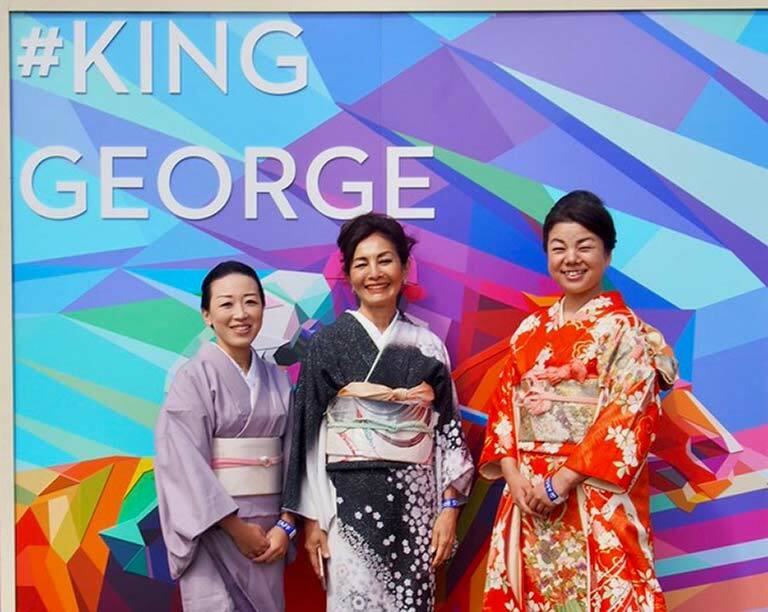 Amongst many hospitality stations of food and drinks sent for the evening, sake was specially showcased next to the main stage and the embassy team took great care when serving the inquisitive guests.